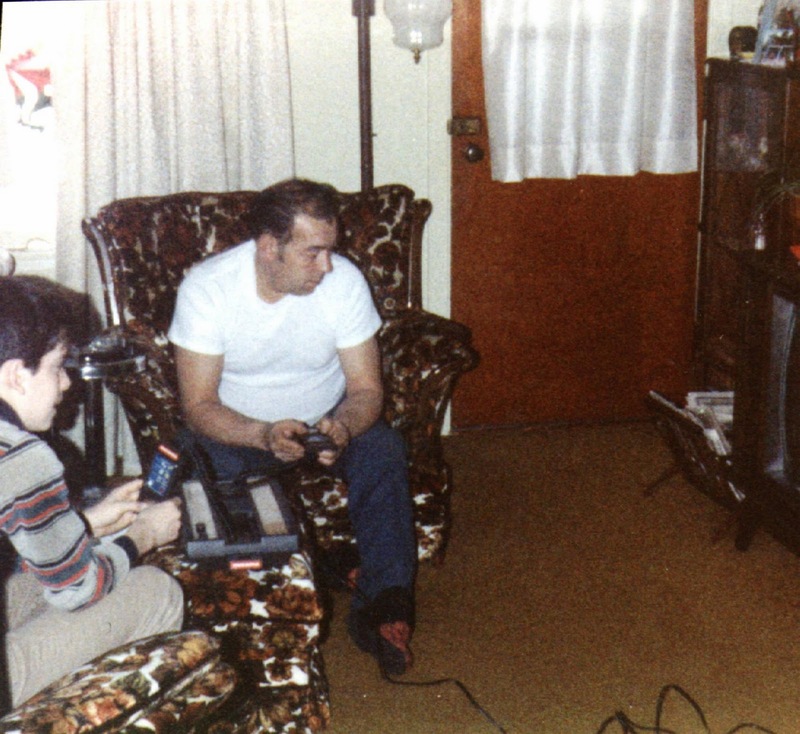 I thought I’d post this picture of my Dad and I playing Intellivision back in the early 1980’s. I love this picture. We were collaborating on one of the simple initial game offerings on this system: Space Battle. One of us would navigate the cross-hairs over the enemy spaceships and the other would fire. A simple task that certainly didn’t require two people, but the game was so much more fun when we did it together. Sometimes, when my son and I are collaboratively trying to beat the computer on a game (most recently the Lego Star Wars game on our Wii), I think back to the joy brought by the memory of this simple time spent with my father. And I’m thankful for every moment I spent with my father; and every moment I spend with my son. Such a great post. Thanks to the both of you for sharing, and my condolences to Mark for the departing of his dad. Ugh. One thing that comforts me yet makes me feel terrible at the same time is knowing that I take the time to teach my son everything I know. It’s comforting to know that he’ll absorb and hopefully learn my words of wisdom, yet it’s terrible to know that one day I will no longer be here. They say it’s the simple, most mundane activities that we remember most. Mark points that out in this photo. Over a year ago I was riding bikes with my son in this small mound of dirt and broken pavement/concrete at a construction site by my house. We made our own simple track and obstacle course and took turns trying to “conquer” it. Simple 5-minute game but it was so much fun. Apparently, that white t-shirt was the standard ‘Dad’ uniform in the late 70’s/early 80’s. That picture looked exactly like a million of me and my Dad. Missile Command on Atari 2600 was his game. Thanks for this post. It’s amazing how Dad and son memories from a stranger can affect us all. We all feel exactly the same way. The closest my dad ever came to this was yelling at me to get off the Atari so he could watch wrestling. Ditto, except I got a clunker TV from a neighbor who was moving and hooked the Atari up in my room. We were both happy as clams.